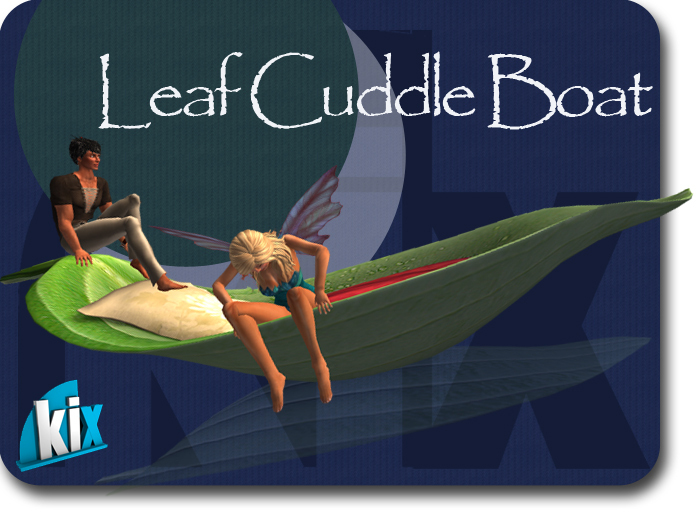 For a limited time all Kix aminations are on sale on the marketplace and inworld to celebrate the opening of the new Kix Mainstore and Cuddle Park. The link to the new store is on the right and there is a teleport down to the park on ground level where more creations are available for demonstration and to purchase. Well it sure has been a while since we updated our blog but today we would like to showcase a new product. Our table with barrels and lantern is transfer so great for gifts. 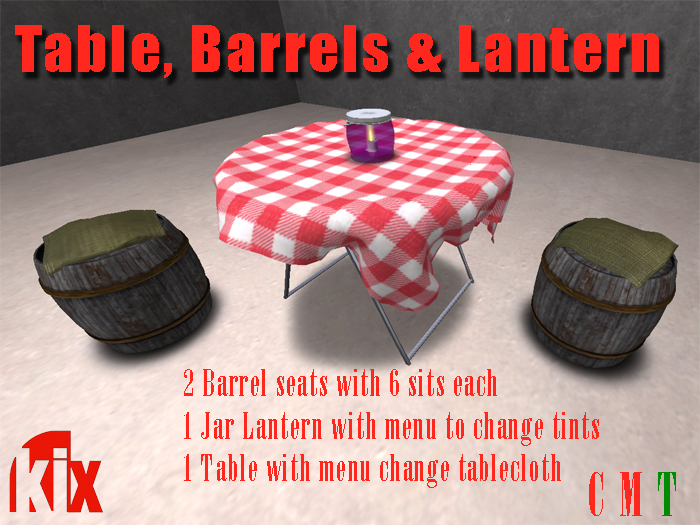 The table has a texture change menu in for a choice of tablecloths, the lantern has a colour change menu to change the tint of the glass and the barrel seats worth without poseballs and include a menu of 3 male and 3 femaile sits. 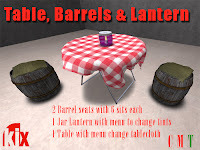 The table is 4 prims, the barrel seats 3 prims and the lantern is 4 prims. A fun and casual patio set for your deck!